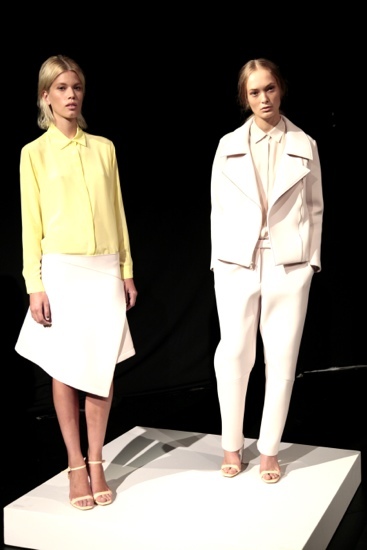 Kaelen Haworth presented her Spring 2013 collection at the Box this morning at Lincoln Center in New York City. 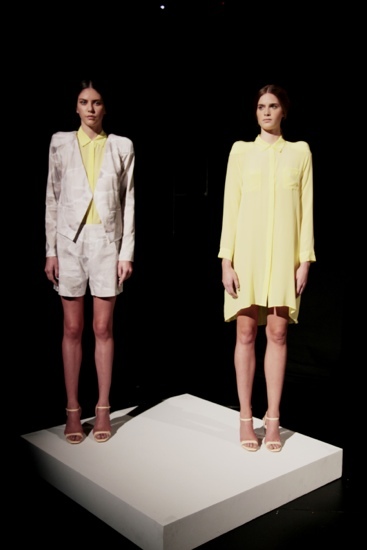 The models presented in pairs on platforms donned femininine yet structured jackets to patterned pants and dresses. When color was used, the color of the season, yellow, was it. A very pale shade of pink was also present. 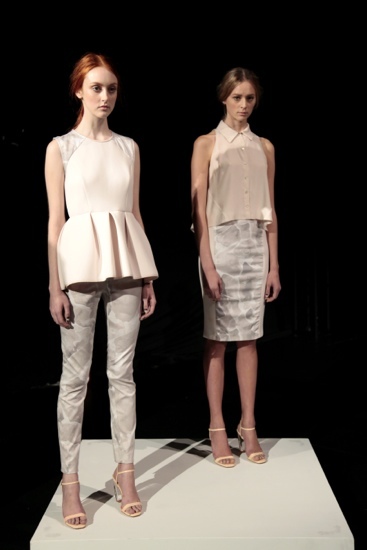 Fullness of form was achieved with pleats giving a childlike feel to some of the dresses. 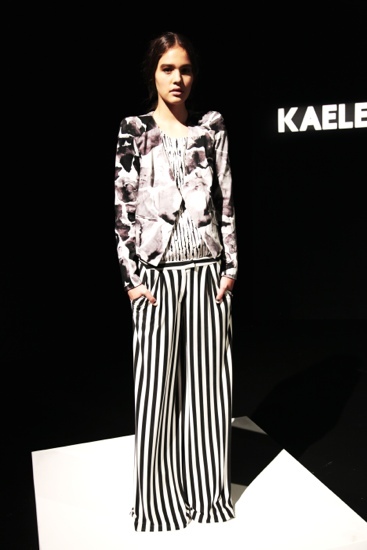 My favorite piece was the silk black and white romper in stripe print. They’re probably as comfortable as pajama bottoms but so elegant looking. 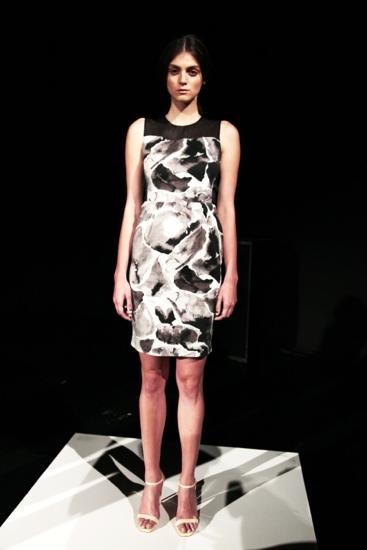 Printed rock print patterns, fresh and cool, were used from pants to dresses to blazers. And pattern mixing is still hot.